From the west and northwest... take I-495 north to exit 54. Turn right onto Route 150 extension. Continue on Route 150, driving through Amesbury's Market Square. Enter the roundabout and take the second exit onto Market Street. Take your 6th right onto Cedar Street. Kitchen Local is located on the street side of the first floor of the mill building at 14 Cedar Street Studios. From the north... take I-95 south to exit 58B. Turn left onto Route 110 (toward Amesbury). At the traffic light, turn right onto Elm Street. Enter the roundabout and take the first exit onto Market Street. Take your 6th right onto Cedar Street. Kitchen Local is located on the street side of the first floor of the mill building at 14 Cedar Street Studios. From the south... take I-95 north to exit 58B. Bear right onto Route 110. At the traffic light, turn right onto Elm Street. Enter the roundabout and take the first exit onto Market Street. Take your 6th right onto Cedar Street. 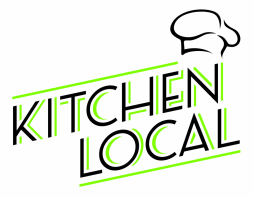 Kitchen Local is located on the street side of the first floor of the mill building at 14 Cedar Street Studios.